Preimplantation Genetic Screening PGS (also known as aneuploidy screening), is a very early method of screening that involves checking the chromosomes of embryos created using in vitro fertilisation (IVF) or intracytoplasmic sperm injection (ICSI) for any abnormalities. Typically over 50% of embryos produced by a woman will be chromosomally abnormal and incapable of achieving a pregnancy or a healthy livebirth. 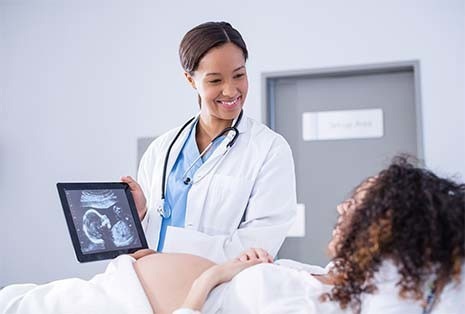 PGS enables the selection of the ‘normal or Euploid’ embryo(s) for transfer giving the woman a much higher chance of achieving a pregnancy and livebirth. With age the probability of having a ‘euploid’ embryo for transfer decreases. Next Generation Sequencing (NGS) can be used in PGS screening as it is one of the most technologically advanced means of genetic testing. It will enable us to test all 24 chromosomes simultaneously to detect any disease or abnormalities, to ensure that only the best quality embryos are returned to the uterus to develop as in a normal pregnancy. Older women are more likely to have eggs with abnormal chromosomes, so this screening is typically offered to women over 38 years of age. Similarly women who have faced repeated miscarriages or implantation failure may use this test to aid the transfer of a chromosomally normal embryo giving a higher chance of a healthy livebirth. Potentially shortening the time taken to achieve a pregnancy and the costs of extra cycles. For us to carry out PGS you will have to go through routine in vitro fertilisation (IVF) procedures so that we can generate several viable eggs for collection. The eggs will have to be microinjected to fertilise them in a procedure known as Intra Cytoplasmic Sperm Injection (ICSI). ICSI is required in PGS to limit the contamination of sperm around the resulting embryos which can potentially lead to a misdiagnosis. During PGS, only the embryos which have developed to Blastocyst stage in the laboratory (at 5-6 days of development) are screened; whereby a small number of cells is removed from the embryo during a biopsy by one of our skilled embryologists. Your biopsied embryos will then be frozen in our onsite laboratory using vitrification whilst we await the results from the specialist genetics laboratory. Only embryos without any chromosomal abnormalities will be placed back in the womb via a procedure called Frozen Embryo Transfer. Only one or two PGS embryos will be transferred in the same cycle to reduce the risk of multiple birth. The rest will remain frozen and preserved by us for you to use in future treatment cycles. This risks are similar to those outcomes of a traditional IVF cycle, including multiple births, ectopic pregnancies and miscarriage. Additionally, there may be situations whereby all the embryos biopsied may be chromosomally abnormal. It is also important to bear in mind that not all biopsied embryos will generate a result from the screening test. Typically 90% of biopsied embryos give a result. Embryos will be classified into three categories post screening: Euploid, Aneuploid and Mosaic. Your consultant will discuss any risks that may be relevant to your individual history and circumstances and can answer any questions you may have.